See Nancy? I tried with the title! You may remember I recently crocheted a baby blanket for a friend who's soon to pop, I mean give birth. Well, I had some yarn left over so I started to crochet a hat to go with it, then I ran out of yarn and had to buy some more. I've now crocheted the hat and have loads left over! 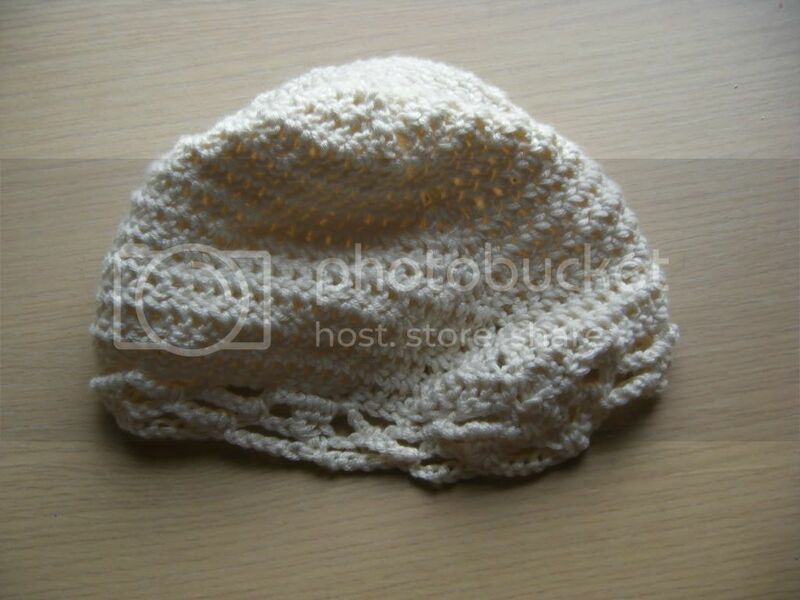 I made this hat from Sidar Baby Bamboo using this pattern. 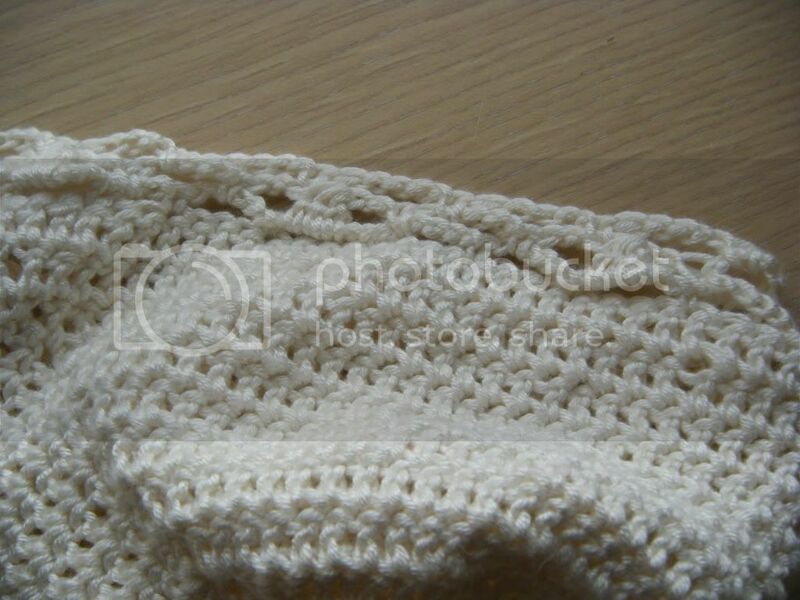 It was really easy to crochet. I love crocheting. The craft shop didn't have the ribbon clasps, nor did the bead shop in town which was a bit of a surprise so she went home bracelet-less. The clasps turned up the very next day so she'll get this on Saturday when she's with us again for the weekend. She's 11 and really skinny so I thought her wrist measurement would be tiny. I was surprised it is 13cm... mine is only 15cm! Have I got stupidly small wrists?!? Gorgeous! That's a great bracelet! Such talent. Awwwwh, the cap is adorable!! I would say you have dainty wrists. :D The bracelet is darling. I'm sure your stepdaughter will be over the moon when she sees it. 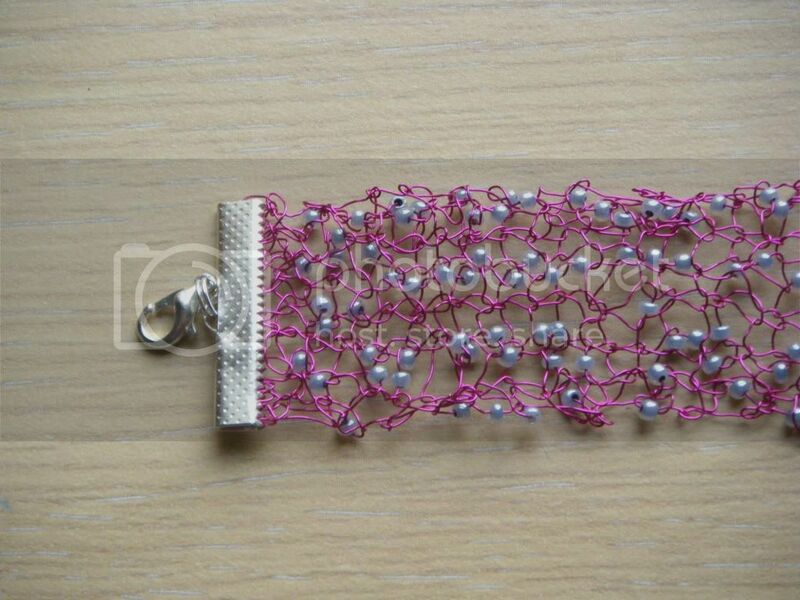 My colour choices would be different as well, but the bracelet turned out lovely! You're such a talented bunny, Wendy - I'm so glad Nancy and I have gotten to "meet" you via the internet! I am beyond proud of you for your headline. Also, the projects are lovely as usual. I am continually astounded by wrist measurements. They would see to make sense, but then they don't. Love the hat - so precious! 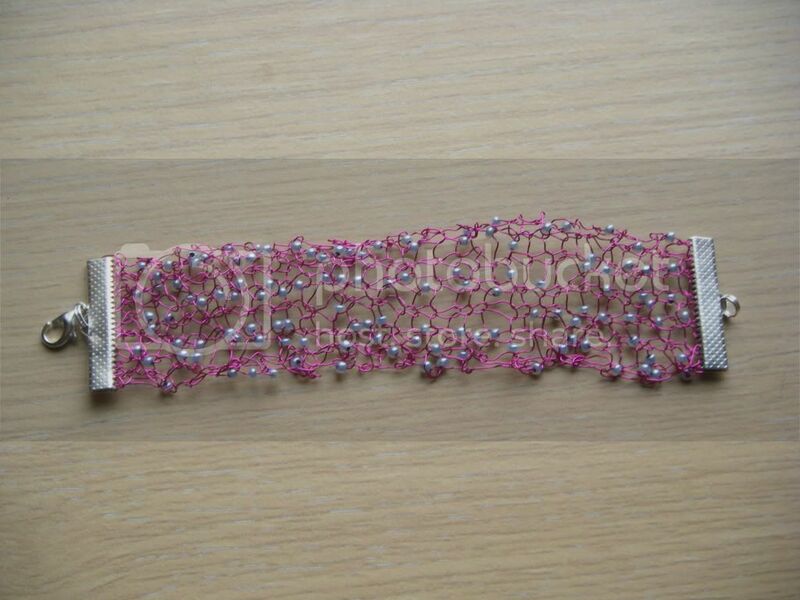 And the bracelet too - can't say I love the pink wire, but the beads are just gorgeous. And I too would say you have dainty wrists!